The Bench comprising Justice Bobde and Justice Nageshwara Rao was confronted with the matter of reasonable age limit for appearing in the Common Law Admission Test (CLAT) and to pursue 5-year integrated law course. For the petitioner’s side, that is Rishab Duggal and Michael Sam (CLAT aspirants), Senior advocate Kapil Sibal, advocate Sanjay Hegde and Advocate Zoheb Hussain have appeared pro-bono. Initially, the case was before the Bench of Justice Dipak Mishra and R. Banumathi where Justice Dipak Mishra recuses himself from the matter. The issue raised when the Bar Council of India (BCI) reinstated the clause 28 of Legal Education Rules (LER), 2008 that the age limit which is set at 20 years and 22 years for SC/ST/OBC, so to take admission via CLAT exam in the 5-year integrated law course. The age limit for three years LLB is 30 years and the five-year course is 20 years. Petitioner alleged that under the Advocate act BCI does not have jurisdiction to fix age limit rather it rests with the Centre, i.e. Ministry of HRD and further they can control legal professionals only after they entered the legal profession & not before that. BCI is to reply on 28 Feb 2017 on all the issues submitted by the petitioners. The Court pointed out that “if somebody initially took p medicine r engineering and realized later that his calling is law then such a person would miss out on the five-year course”. Previously Bombay High Court declared impugned clause as non-existent, moreover an arbitrary and irrational as well as such use of power is ultra vires that are beyond the legislative competence of BCI. As the enrolment for the exam would be soon it is necessary to expedite the process as Contended by Advocate Sanjay Hegde. Justice Nageshwara Rao concluded that order would be on next Tuesday by this court. Edukatering is an online platform providing Fine written Articles, Announcement, Legal news, Reviews on law schools, Internships, Legal affairs related to Startups, Social organisations, Guides and Much more yet to come. We are committed to continuous innovation in the field of law and helping various organisation by providing legal news and legal procedures. We are also helping people to establish their relationships All over the India. 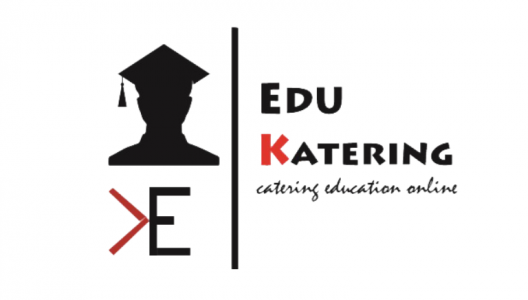 Edukatering is a one stop solution for all the legal requirements and legal matters. We have chosen Media method of spreading law among the law students, professionals and the other professionals in need of our services. We are trying to create an ecosystem which will be dedicated to Invention and only invention.